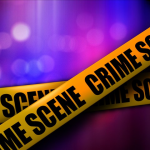 On February 10, 2019 at about 12:30 am, Roanoke Police responded to a report of a shooting in the 1300 block of Maple Ave SW. Officers located a juvenile male with a gunshot wound. The subject was transported by Roanoke Fire-EMS to Carilion Roanoke Memorial Hospital for treatment of his injury. A short time later, an adult male arrived at Carilion Roanoke Memorial Hospital also with gunshot wounds associated with this incident. These individuals’ injuries are not believed to be life-threatening. This is an ongoing investigation. Anyone with information about this incident is asked to call (540)334-8500 and share what you know. You can also text us at 274637; please begin the text with “RoanokePD” to ensure it’s properly sent. Both calls and texts can remain anonymous.